The secret to a rich, thick and creamy Greek chicken soup is Avgolemono, which is a lemon and egg mixture used to thicken the soup. Unfortunately, if you’re looking for exact directions on how to make and use avgolemono, you’ll be in a bit of trouble, as there is no one recipe for it. Whether you’re searching the internet or polling every Greek person you know, the ratio of eggs to a lemon; the use of egg whites, egg yolks, or whole eggs; and the amount of lemon used will vary base on who you’re talking to. What’s important to know about avgolemono, is that it’s a matter of taste. It’s entirely up to you whether you use the whole egg or parts of it, how much egg, how much lemon, and whether you mix the egg and lemon into your soup separately or together. Just be sure that no matter what type of egg you use, you temper the eggs before adding them. Don’t be afraid to recreate your favorite Greek chicken soup, just use avgolemono and you’re on your way! 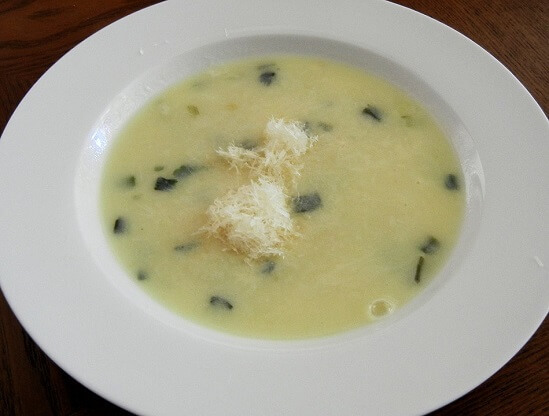 Avgolemono is a mixture of eggs and lemon juice used throughout Greece to thicken and flavor sauces and broths. While synonymous with a specific dish in the US, Avgolemono is just the mixture of eggs and lemon juice that can be added to sauces. The eggs and lemon juice can be added together or separately, the amount of lemon juice is suggested as to taste.